In this modern era when many of us have cameras in our pockets at every moment of the day, we take a lot of photos of our children. 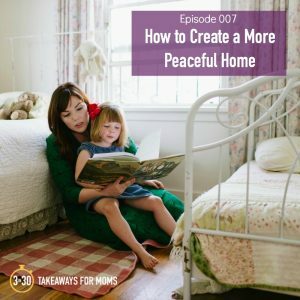 The storage on our phones is full, and the children in our homes are sick of being little on-demand models. But we want the memories! We want to capture their cute little faces! How can we document our family life without torturing our children and driving ourselves crazy in the process?? 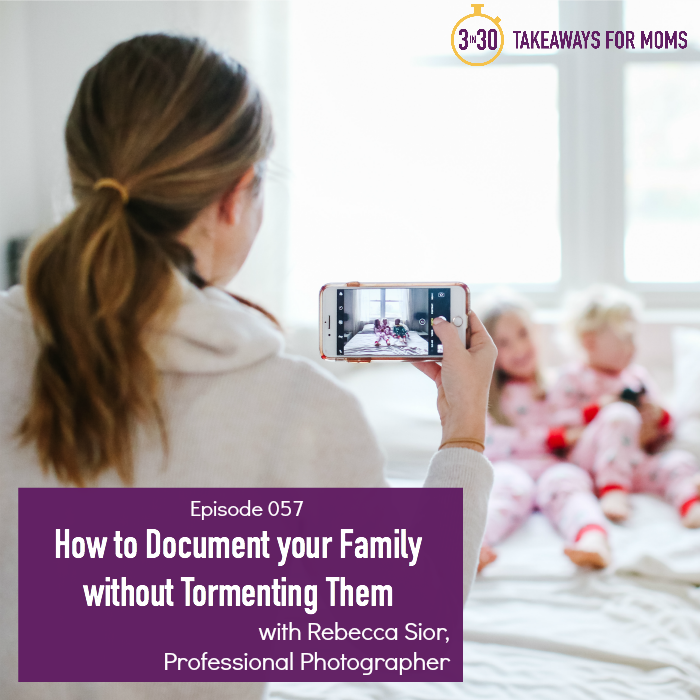 It’s possible, and professional photographer and mother of three Rebecca Sior is on the podcast today to teach us HOW. This interview is full of practical takeaways that will shift your perspective about which photos are worth taking—and how to get those photos in the most painless ways possible. A perfect episode as we head into all the memory-making of the holidays. Don’t miss it! 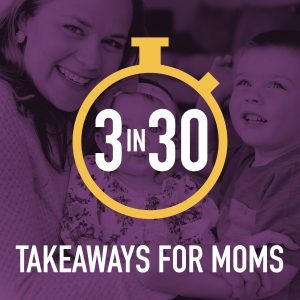 Search for ‘3 in 30 Takeaways for Moms’ in your favorite podcast app, or listen via my website: 3in30podcast.com. 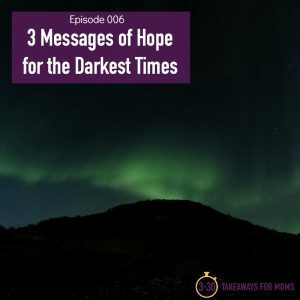 If you have a dream, big or small, that’s been tugging on your heart–or if you’ve allowed your fears to get in the way of you showing up fully in the world–this episode is for YOU. Brooke White is a musician and a mother of two. She has recorded eight albums with a ninth coming out in early 2019. Brooke got her “big break” when she appeared in season 7 of American Idol and finished in the Top 5. 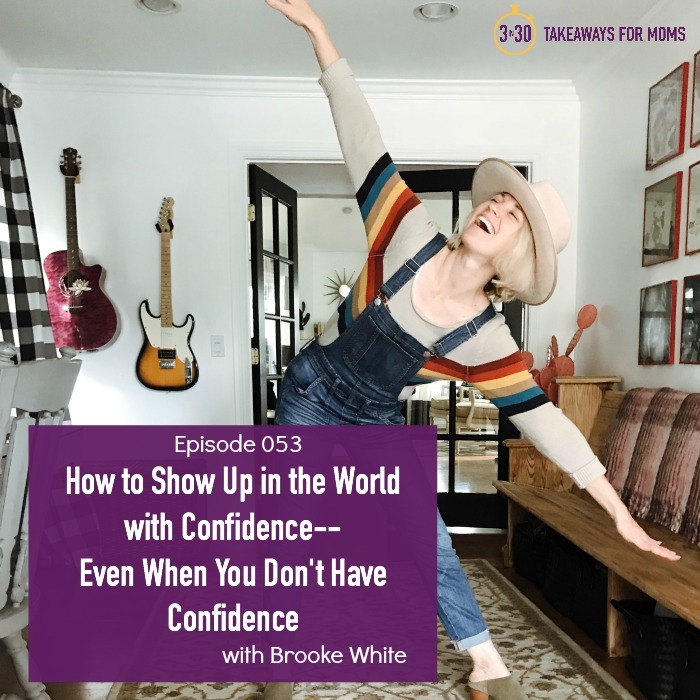 In the midst of this success, when the world saw a beautiful young woman with talent and fame, Brooke faced debilitating anxiety and fears that she wasn’t good enough. In this episode, Brooke and I laugh, we tell stories, and yes, we sing. Well, Brooke does. 😉 You don’t want to miss this truly unique and inspiring episode of 3 in 30. 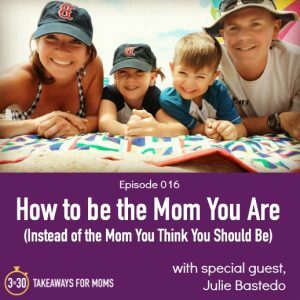 Whether or not you are a runner, you are going to love this episode about lessons that Taffy Micheli has learned about motherhood while training for marathons. 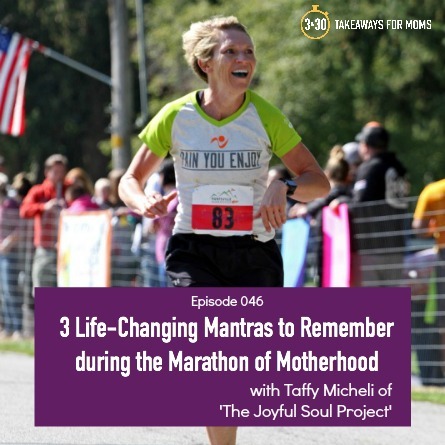 Listen in to hear her share three truly life-changing mantras that she has relied on to get her through long runs and difficult experiences. 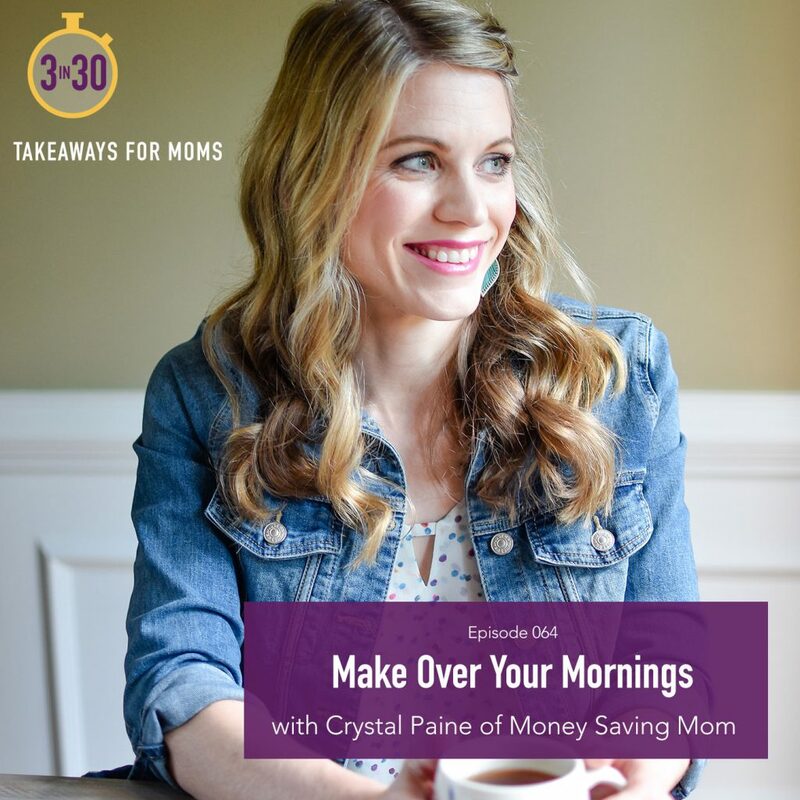 I’ve heard from many listeners that this is one of their all-time favorite episodes–so don’t miss it! Family life is a bit insane. 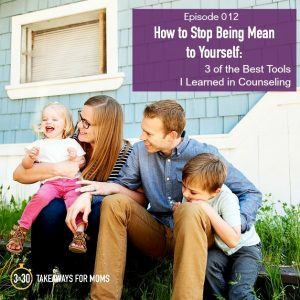 As mothers, we say and do things we never thought we would say or do. We can cry at the end of a harrowing day…or we can laugh. And the guests on today’s episode choose to laugh! 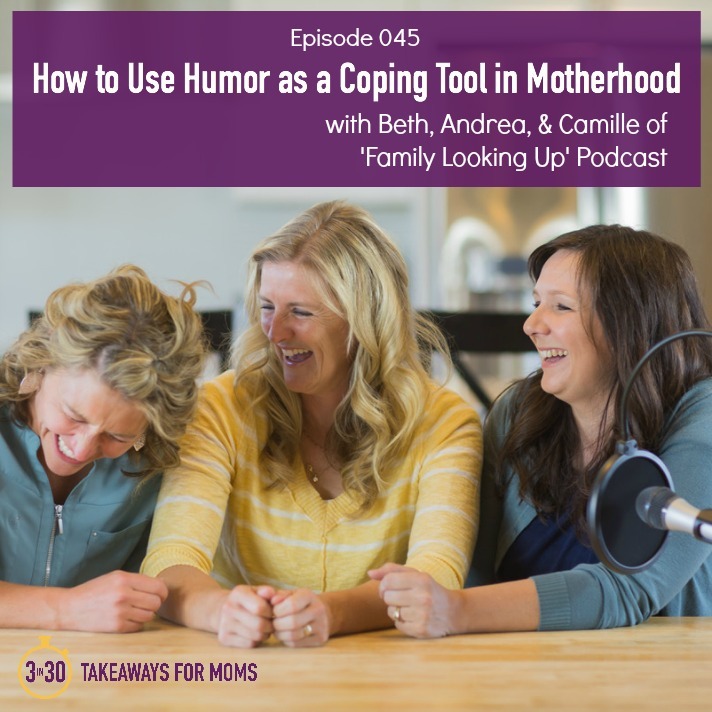 Beth, Andrea, and Camille from the podcast “Family Looking Up” are on the show today teaching us HOW to find humor and joy in the hard moments of motherhood. 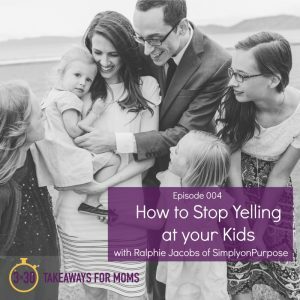 If you need a good chuckle or a pick-me-up to find the joy in your long days, this episode is for you.